The hover sprite was made on the 10th anniversary of the site. I sketched and started spriting it in the morning before work and finished it up after I got home. 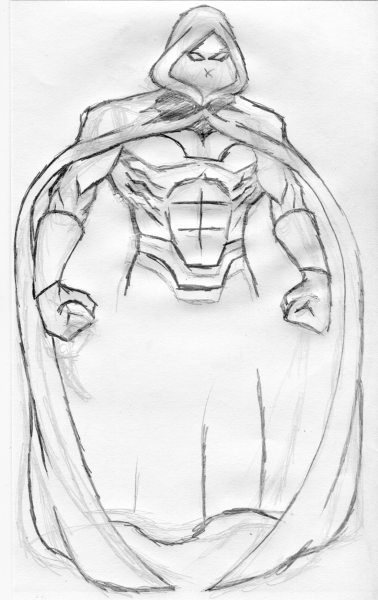 I think it turned out okay considering how achy and worn-out I felt while working on it. 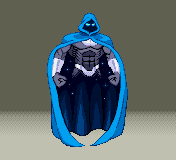 The main worry was to make the cape's stars look in pixel art from, but I don't think I screwed that up too badly.